Raken was named the Best Construction App for Reporting by TSheets, a business software leader in tracking, managing, and reporting time. TSheets periodically issues "Best Of Awards" to various industry products, looking for features that help a company to run more efficiently and productively. Being able to be mastered quickly, and the ability to be used easily by employees certainly doesn't hurt in the eyes of TSheets' judges, either. 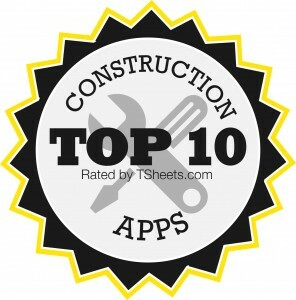 In its most recent contest, construction apps were the competitors, with a whopping one hundred nominees being considered. Winners and runner-ups were selected in ten different categories. Noting that use of construction software applications had increased within the industry by 20% in just a little over two years, TSheets editors stated in a company "infograph" that the use of apps like Raken would be transformational within the construction industry, creating improvements in communication, collaboration, and profitability. Reviewers of Raken App certainly agreed with TSheets’ assessment. They stated that they found Raken's software easy to use and understand, with rapid results, and considered it a product that their firms would use on a regular basis. And Raken offers a number of collaborative features in addition to daily reporting fields, including real time viewing and editing capabilities, photo and video inclusion, warning and notification updates, and the ability to create weekly and monthly reports. Considering all of this, Raken isn't a must-have simply because it's an award winner. It's a must-have because it's essential for creating a modern, profitable construction firm.